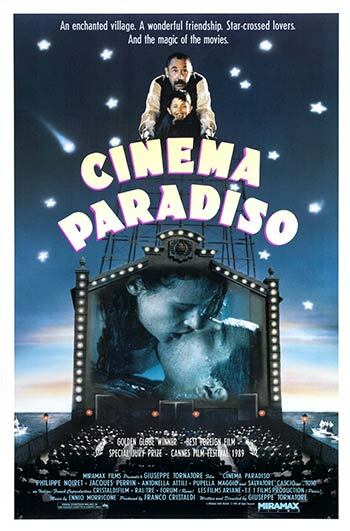 Cinema Paradiso – 30th Anniversary! Philippe Noiret, Enzo Cannavale and Antonella Attili. A filmmaker recalls his childhood, when he fell in love with the movies at his village's theater and formed a deep friendship with the theater's projectionist. One of the most beloved classics of the last 30 years. Original Theatrical Cut.